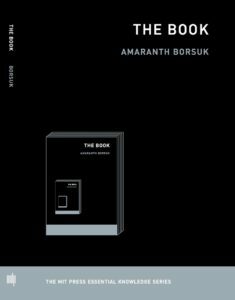 The book is a device whose content can only be imagined when it is still unread, consequently creating endless versions, and can be shared and expanded after it has been read. Still, it remains the same. Alessandro Ludovico is a researcher, artist and chief editor of Neural magazine since 1993. He received his PhD degree in English and Media from Anglia Ruskin University in Cambridge (UK). He is Associate Professor at the Winchester School of Art, University of Southampton and Lecturer at Parsons Paris – The New School. He has published and edited several books, and has lectured worldwide. He also served as an advisor for the Documenta 12’s Magazine Project. He is one of the authors of the award-winning Hacking Monopolism trilogy of artworks (Google Will Eat Itself, Amazon Noir, Face to Facebook).